That’s how I feel in sharing the story of Laura and Colby Clark, a Mountain Brook couple with two beautiful daughters, Madison, 12, and Abigail, 9. I met the Clarks several years ago when my oldest daughter became friends with Abigail. Immediately I liked their family and admired how Laura and Colby were raising their children. The more time I spent around them, the more evident their faith and love for others became. But not until February 27 did I realize why their relationship with God runs so deep. Not until February 27 did Abigail’s personality—a burst of sunshine—make perfect sense. Not until February 27 did I realize that this family once experienced an unthinkable tragedy and then, one year later, on the exact same day, at the exact same minute, a miracle only God could arrange. 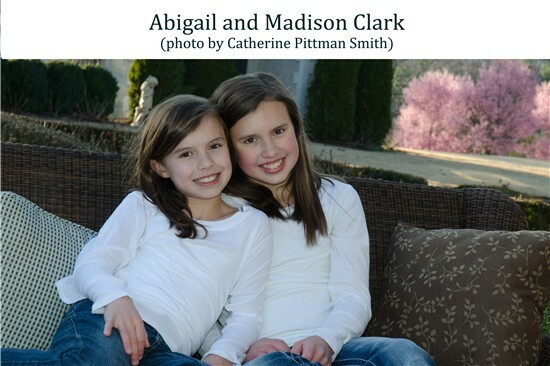 February 27, 2012, was Abigail’s ninth birthday. It’s also the day I learned that Laura and Colby had a story about God’s grace they’d never publicized. They wanted to wait until Abigail was old enough to understand the significance of her birth, and only now did the time seem right. 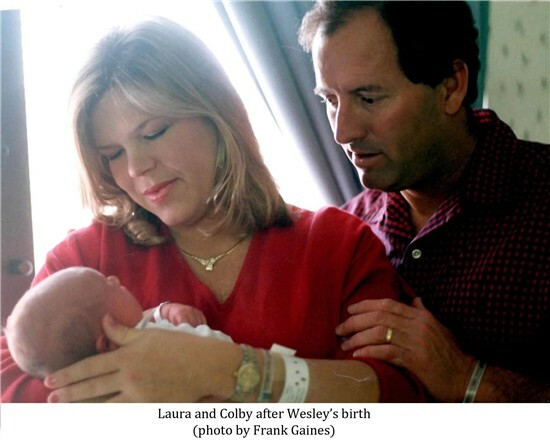 Ten years ago, Laura and Colby had a son, Wesley, who died of SIDS. He died at 1:06 p.m. on February 27, 2002. One year later, on February 27, 2003, also at 1:06 p.m., Abigail was born. It was a miracle no one saw coming, and Laura’s pediatrician and OB/Gyn were so intrigued they did some checking. They couldn’t find another occurrence of this recorded anywhere. I had so many questions for Laura. What happens when a parent’s worst nightmare manifests? How do you cope? 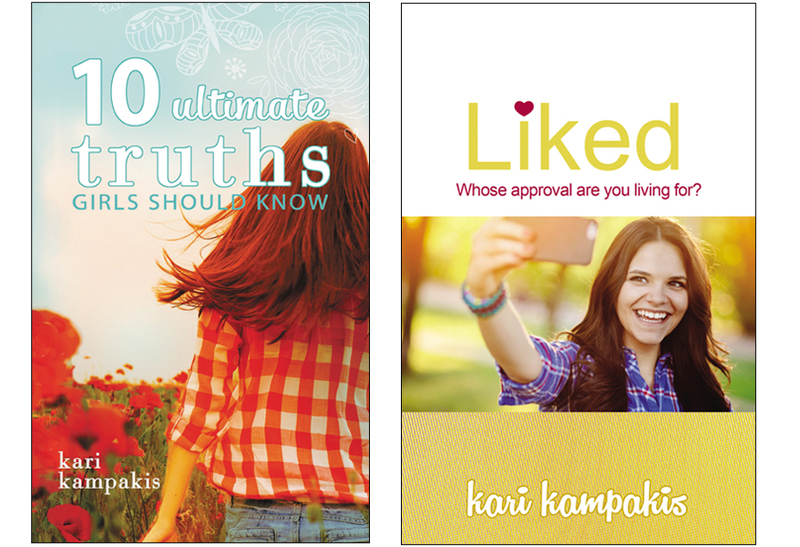 How does this change you as parents—and more importantly, as Christians? Once Laura and I sat down to talk, I started understanding the presence of God’s grace in our darkest times. Normally when I hear a story, I put myself in the person’s shoes, imagine it happening to me. But with Laura, my mind wouldn’t go there. I couldn’t imagine putting my healthy two-month-old down for a nap at 9 a.m., and getting a call at the office at 11:30 a.m. from my nanny, a pediatric nurse, who’d just checked the crib and realized he wasn’t breathing. I couldn’t imagine racing down the longest hall ever, feeling like I was trapped in a tunnel, and talking on the phone to paramedics, who were at my house working on my baby, resuscitating him four times. I couldn’t imagine waiting in a hospital room with family and friends, praying that a team of doctors could save him. Most of all, I couldn’t imagine seeing my pediatrician walk into the room, shake his head, and break down and cry. They asked Laura if she wanted to hold Wesley. She held him until 9 o’clock that night, until she had to let go. Giving up Wesley was the hardest thing she ever did. It felt like she was handing over her life. Three months after Wesley died, Laura had a dream that she needed to take a pregnancy test. It was so compelling she woke Colby up at 3 a.m. and asked him to go buy one. It made no sense because they’d done years of fertility to conceive Madison and Wesley and knew they couldn’t get pregnant on their own. Nevertheless, Laura felt sure. Together they awaited test results in the bathroom. When nothing showed up, they hugged each other and went back to bed. Then all of a sudden, they stopped and looked at each other. They both had an inexplicable feeling that they should check the test again. Indeed, they were pregnant. Abigail was due March 22, and when Laura’s dad predicted she’d come on February 27 because “that’s God’s grace,” Laura said there was no way. Her babies never came early—Madison arrived on her due date, and Wesley was a week late—so it seemed impossible. But on the morning of February 27, the impossible happened when Laura’s water broke. It was an emotional day. And while everyone realized that Abigail’s arrival was closely timed with Wesley’s departure, it wasn’t until that night, when a family member checked their certificates, that the epiphany came. I know this story isn’t a traditional Mother’s Day message, all syrupy and light, but to me it illustrates the underlying truth of motherhood. Our children are God’s children first, and while we like to believe they are ours, all ours, we’re really just anointed caretakers. We may have 50 years with them on earth or five minutes, because God can bring them home anytime. “The Lord giveth, and the Lord taketh away” we learn in Job 1:21, and while we moms like how that verse begins, the second line breaks us into a cold sweat. It makes us anxious and willing to barter. Take anything, we plead with God, but don’t take my babies. The Clark’s story has blessed me by making me less fearful of a worst-case scenario. It reminds me that earth is a means to heaven, and I better keep my focus there, for that’s where eternity lies. Thank God for ordinary Wednesdays, thank God for extraordinary miracles, and thank God for families like the Clarks, whose courage to share their testimony will inspire so many. This may be their story’s first time in print, but I’m certain it won’t be the last. I hope readers of Village Living, 280 Living, and my blog will continue to share the story from here, via word-of-mouth or online links like those below, so others may know of God’s goodness. Only God loves our children more than we do. Only God knows the hairs on their head and numbers of their days. Through Him we are made mothers, and in Him we stay strong. God’s grace is like daily bread, feeding our heart and soul enough to get us by. Let us cherish our time on earth but remember eternity lies in heaven. Only God can help us get our families there.